As we all know, videos have become the most popular medium for online training and development. Moreover, video-based training enhances the learning experience and can be used to scale your learning initiatives. Videos help the learner to easily visualize how something works, which may be difficult to explain with traditional methods. They engage the learner both visually and through audio, making the information last longer, leading to better learning outcomes. In this blog, we will see some examples of video-based training. Product demonstration videos are an excellent way to introduce your product or service to your audience. All the features can be talked about or shown in a short video. It is important that you make your product the focal point of the video. But remember, don’t just tell them the product is good, show them why! The idea behind the video is to educate your audience about the product. In eLearning, such videos are very useful to train your product or sales personnel. You can also use such videos for new hires who need to be trained on the product and how the product functions, etc. Safety is another crucial element in our lives and also at the workplace. All employees need to be trained on the safety methods to follow at the workplace or on the shop floor. In case of a fire safety program, you need to teach your staff how to effectively respond to and handle the situation. You can conduct and record mock drills, or capture a real life situation of a fire accident which shows how the firemen put out the fire. 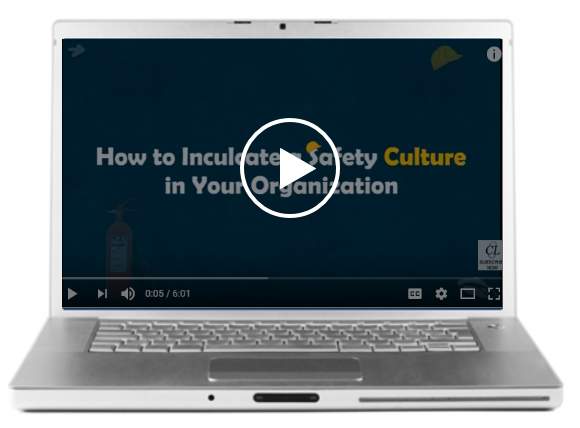 These recorded videos can later be used to train your employees. They show the learner how to act in such situations and what safety precautions are to be followed while handling such accidents in the real world. Another example would be using videos to train people on safe driving. You can create short videos on safe driving techniques, how to make lane changes, what are the rules to follow while driving on highways, etc. All you need to do is make your co-passenger a videographer, capturing the video while you are diving. This will help you capture whole scene, i.e., how you drive, sitting position, the roads around, etc. At the same time, you can guide the audience through the steps to be followed for driving safely. In addition to real videos, you can also use animated videos in your eLearning courses. There are a number of tools available in the market using which you can develop animated videos. Animated videos or cartoons have proven to be very effective, captivating audiences’ interest due to attractive visuals and impactful stride. What do you think about video based training? Have you tried something like this in your courses? If NOT, do try and share your views.